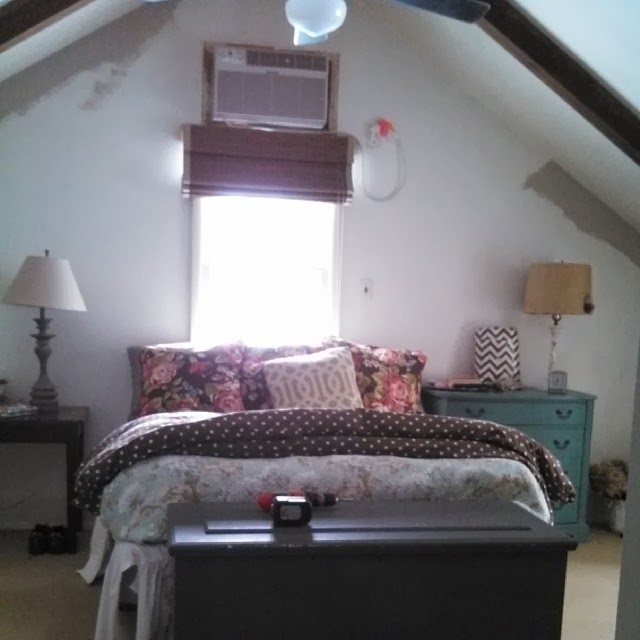 I’ve been wanting to work on my master bedroom since the day we moved in. It started off as a playroom/family room. But, no one ever used it. It has vaulted ceilings and wood beams. It gets tons of natural light and is quiet and cozy. Here’s what is currently looks like. Sad, droopy, with dribs and drabs of potential sneaking it’s way in. 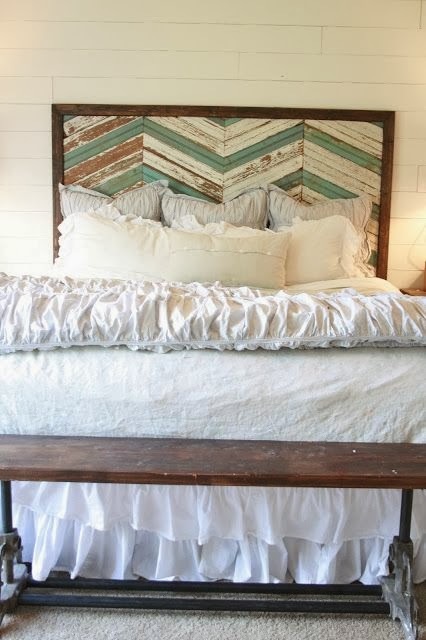 Like the painted dresser on the right side of the bed. It’s my current fav MMS color, French Enamel. I also like my bedding. It blues, gray, browns, and tans. Thanks to the massive snow we’ve been receiving on the East Coast, the renovation has finally begun. I’m trying to control myself and keep it monochromatic. But, I have a hard time with that, and I always end up adding some wacky color somewhere. Here’s some more inspiration pics. I’ve been keeping a “bedroom” board on pinterest. So you can find links to all these great rooms there. you need that headboard in the last shot! love!! !